Jerry goes on at some length about what he sees as the failings of the "libertarian faith" concerning tax cuts. So be it. As an apostle of reason, then, and not faith, I reach out to Jerry and all the Cato brethren to say: Re-examine your reason; be wary of contradictions lest ye stumble into disaster and miss the way forward out of the wilderness. Some Cato scholars will, I am sure, instantly see as much and more. May they strive to spread the grace of reason. For Jerry's approach – inconsistent with the best reasoning to be found at Cato concerning taxes, spending, tuition tax credits, tax free health savings accounts, and much else – will undoubtedly leave us defenseless to the approaching Big Government Disaster that will hit the energy sector (and economy with it) within months. Just as it damaged our health care system and destroyed American education decades ago. Cato can only play valiant catch-up in these areas with innovative tax cut proposals. But now, before the storm hits, if Cato heeds the apostolic call, armed with the sound reason of a new innovative green tax cut proposal, there is a chance to avert a new and similar disaster completely, before it ravages our energy sector and economy. So forget the distracting controversies of global warming and oil dependency. Let us rather keep the following firmly in mind. If, as many Cato scholars argue, cutting taxes is the best thing to do right now to stimulate the economy, then cutting some taxes is the next best thing. If avoiding mandates, tax hikes and federal investment schemes is also good, then let's do even better by substituting tax cuts instead. You do what is possible. Right now, the progressive agenda gives us the opening, because we can show progressives how to accomplish their most cherished green goals better than they can themselves – and in doing so, we can lift the economy and demonstrate the power of smart tax cuts to help America prosper and shift green. Who knows? Tree huggers and progressives may even come to love tax cuts. All this continues a fascinating Google Knol debate which asks whether alternative energy deserves government support. Jerry, and Peter Van Doren of Cato, argue no; Joseph Romm, editor of the ClimateProgress.org blog at the Center for American Progress, says yes. And I, in comment, offer up a compromise for libertarians and progressives alike: broad supply-and-demand-side tax cuts on green energy, vehicles, infrastructure and efficiency, in order to supercharge green energy investment, entrepreneurship and employment, reduce energy prices, and boost the overall economy (and, as a bonus, save the auto industry without a bailout). In his reply, I note that Jerry never once disputes the benefits resulting from a green tax cut, contenting himself with some theoretical objections, and surprising un-Cato-like preferences for taxes and subsidies. So those benefits stand as yet unchallenged. Well and good. Let's talk about Jerry's concerns, and he can respond as he likes. I welcome comments from all my readers, and on this post, especially from anyone at Cato or the Center for American Progress. Maybe we'll hear from Joe. Readers can find here below, slightly redacted, my knol comment first, Jerry's reply next, and my current response below that. Thank you, Jerry, for your thoughtful reply to my comment. As an apostle of reason, I offer new wine for the new year to you and the brethren of Cato. Perhaps if we libertarians use our time in the wilderness wisely, we can save ourselves, the wilderness and capitalism too. †We should note up front that I am in no way calling for a litmus test for Cato scholars. I am saying that internal contradictions could be a sign of a flawed argument, and so deserve to be carefully noted and considered. I am also saying that Cato should consider and adopt new ideas consistent with and building on existing Cato models. Why not tax cut our way to a greener future? Jerry/Peter and Joe may seem poles apart, but perhaps they have simply failed to realize that not all incentives are equal. There is at least one undiscovered option that should work far better than anything Joe has proposed, and should appeal to any serious follower of Milton Friedman. Try this on for size: total tax freedom for all green energy sources, infrastructure and vehicles. Zero sales or income tax (or capital gains tax on stocks and dividends) in proportion to the percentage of a company's revenue that comes from green energy sources. Now, I'm not going to make all possible arguments about this here and now. But I will say this. Tax freedom is utterly unlike any subsidy or incentive that has been discussed in this debate so far, in several critical respects. Most subsidies, even tax credits, can allow unprofitable companies to seem profitable. Tax cuts, however, cannot make the unprofitable profitable, so only real solutions will survive. And, if broadly applied, tax freedom will allow the market, not the government, to pick the specific winners among clean technologies. There can be no doubt that tax freedom or even sharp tax cuts for green energy will supercharge investment in this vital area of entrepreneurship well beyond anything Joe or the President-elect has proposed, creating millions of new jobs. Obama's proposed $150 billion direct investment over ten years simply cannot compete with what the private sector can do if unleashed and properly motivated with low-or-no taxes. ExxonMobil itself would shift green in order to become tax free. And, by the way, this proposal would swiftly bring massive new debt and equity investment to a green-shifting auto industry, obviating the need for bailout, bankruptcy or socialist takeover. Why Joe should love this is obvious. It is massively more effective than the incentives he has proposed, and does not cost a dime of federal spending upfront. Why Jerry and Peter should love this goes to the heart of what Cato is about. Milton Friedman once said "I am in favor of cutting taxes under any circumstances and for any excuse, for any reason, whenever it's possible." There are plenty of other arguments I could make about putting downward pressure on energy prices, etc. But this one is the clincher: it is a TAX CUT. As such, the net benefit to the economy from cutting taxes will be positive. Forget global warming, forget foreign oil dependency. If, as many Cato scholars argue, cutting taxes is the best thing to do right now to stimulate the economy, then cutting some taxes is the next best thing. You do what you can. Tax cuts are fundamentally different from most tax-funded subsidies: federal spending or "investment," mandates, bold new initiatives to pick this or that particular winner, even tax credits. All of those create economic drag and have other negative blow-back, none have the pro-growth benefits of a broad tax cut. One last thing. As a Cato donor for decades, I can't begin to express my dismay that a Cato Fellow would extol the virtues of a carbon tax (or any tax hike). Or the unenforceable boondoggle that is cap-and-trade, a carbon tax by another name. Our economy is reeling from the 500% oil price rise over the last five years -- which may likely return if the economy attempts recovery -- and you want to make oil cost more? Do you want to bring on a depression? But at least I am glad that you like the principle behind the carbon tax, which is that the best thing to do, if anything, is to adjust any price discrepancy between fossil fuels and clean energy. Because a green energy tax cut really amounts to the double negative of a carbon tax: it is a no-carbon tax cut. Same price adjustment, superior result. Why? Tax cut, not tax hike. Think tanks like Cato need to wrap their head around the notion that green energy incentives are coming, like it or not. Many of those incentives could do major damage. Cato and it friends should champion the one incentive that won't do that kind of harm and that will actually do a great deal of good: a green energy tax cut. economic efficiency as a consequence. revenues and thus, eventually, will starve-out government spending. beast" hypothesis was likely wrong. because it avoids the inefficiency associated with a distorted tax code. Jerry, I am very relieved to hear that your opinion on tax cuts is not universally shared at Cato. For when you suddenly shift from strict libertarian non-interventionism to argue that tax hikes (!) and direct federal spending are better policies than tax cuts to boost the green energy sector, the auto industry and the economy, you do-si-do right off the honest libertarian ranch only to fling yourself in the foul embrace of the old Tango Keynesio. Perhaps urbane types like Mr. Romm would not notice or care. But no, as a longtime Cato supporter and friend, I can't let you be led astray by this duplicitous gancho two-stepper. So shaken was I by your fall into Keynesian ways that, after grabbing my smelling salts, I had to rush to check, and yes, your position is shockingly at odds with most of your Cato colleagues. For instance, just last month in the Washington Times, Cato senior fellow Richard W. Rahn demolished the notion that direct federal investment or subsidy (which you prefer to tax cuts) has any net beneficial effects, and proposed a broad array of, yes, tax cuts instead. Cato's Chris Edwards, in a essay called "Not Keen on Keynes," said much the same, and in contradiction to your argument that tax cuts increase government deficits, offers global evidence that various tax cuts do in fact boost tax revenues by strengthening the economy. 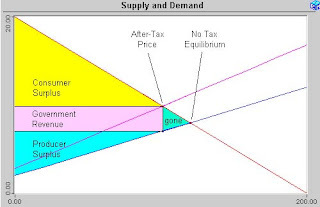 But it is not just the Keynesian bits, the tax-and-spend footwork, that is out of sync. It is the whole remarkable tango. Stepping back, we see your seemingly strong laissez-faire entrance is really a sort of unrealistic utopian libertarianism that is also out of step with Cato's usual realism. You take the position that "the tax code should not be used to encourage this or discourage that because I do not believe in having the government direct capital flows in the economy and favor some investments relative to others." But your position is at odds with some of the best real world campaigns in progress at Cato. Posted dead-center on Cato's home page in December we find Adam B. Schaeffer's excellent article, "School Tax Credit Can Help Kids and the State," arguing that the tax code should be used to encourage private schooling. Elsewhere, we find Michael F. Cannon proposing tax-free health savings accounts, which again use the tax code to encourage saving for medical expenditure, at the expense everything else from dry-cleaning to ExxonMobil. Cato's real world libertarianism regarding strategic tax cuts seems to be nuanced as follows: Let's not use the tax code to favor this or that... unless the alternative is socialism or some other disastrous government boondoggle. Then in that case, a well-crafted tax cut to favor a popular social goal is absolutely the preferred way to go, because tax cuts foster growth, entrepreneurship and competition, and avoid the pitfalls of big government. If, as it seems, that is the larger Cato view, then, Hallelujah, praise the board! But your position ignores the looming big government disaster, spurning realistic tax cut alternatives in favor of unrealistic, no-win do-nothingism. Fortunately, the Cato board apparently disagrees with the no-win do-nothing approach in education and health care. Sadly, Cato was not in the game back when public education and health programs were first created. Otherwise, we might now enjoy education tax credits, vouchers or tax-free health savings accounts, instead of playing catch up with a host of big-gov disasters in place, all very difficult to reform or remove. Clearly, the same situation is now at hand with green energy. As with education and health care, the public has determined overwhelmingly that it wants some kind of government support for renewable, cleaner, more efficient energy technology. That is not just evident in the polls: it is here, now, a clear fact that the new administration will certainly enact extensive new forms of public support for alternative energy and energy efficiency in mere months. Many of these (cap and trade, Federal "investment" subsidy) could be damaging to the economy and impossible to remove... unless good people, like you folks at Cato, get in the game NOW, stop with the do-nothing rhetoric that earns only scorn, and champion tax-cutting, pro-growth, market oriented strategies like green energy tax cuts. Otherwise, you are going to be playing catch up in 5, 10, 20 years, facing entrenched big-gov programs, proposing exactly these kinds of alternatives then, and wishing you had acted earlier. Not only is your utopian do-nothingism out of step with the above ongoing campaigns at Cato, that you ignore negative externalities makes it out of sync with basic economics. Sure, in a perfect world, government should not intervene in the markets to favor one group or another. But it is also well accepted among economists of all stripes that if one industry (say fossil fuels) is creating a mess for which everyone else must pay ("negative externalities"), then price adjustments through taxes or other means may be warranted. This is ultimately decided not by economists, but subjectively by an annoyed public, for – never mind the complex climate and security controversies – how do we really price the bulldozing of our purple mountain majesties, or oil slicks on either shining sea? You are ignoring the 800 pound gorilla: the public has determined that big negative externalities exists, whether we agree, or not. Since massive government intervention is on its way, like it or not, doing nothing is a lost argument, hence nearly irrelevant. The only real question becomes, what would be the least damaging, most beneficial intervention? So let's focus on the policy alternatives that will likely become legislation very soon: various tax hikes on carbon, fossil fuels or oil company profits; pay-to-play cap-and-trade; various clean energy mandates; massive Federal "investment" (i.e., subsidy). Because of their likelihood, these are the only alternatives that really matter when evaluating green energy tax cuts. Half of the benefit of the Green Energy Tax Cut proposal lies in avoiding exactly this disaster. And here you are preferring it. I tell you, Jerry, I feel like Alice in Wonderland when I have to defend tax cuts to a Cato scholar who prefers big government programs. "Direct subsidy from the Treasury is preferable because it avoids the inefficiency associated with a distorted tax code. Cap and trade or a carbon tax would be even better." "Subsidies... re-direct investment flows from more profitable to less profitable activities and thus will impoverish the economy." That sounds like a pretty bad distortion, Jerry. In fact subsidies can create a worse economic distortions than broad based tax cuts, especially if these take the form of the Federal "venture capital" investments promised by the Obama campaign. These will only train green entrepreneurs to shower donations on politicians in hopes of preferment. If history is our guide, subsidies and "investments" will often be handed out for political reasons, and the resulting inefficiency and corruption of American entrepreneurship will be enormous. But you already know all about this kind of distortion, because (in another example of the same self-contradiction) you yourself brilliantly list for Joe the long history of failed and politically motivated bad government "investments" in the alternative energy industry. By contrast, an across the board green energy tax cut does not favor one particular green company over another, but lets the market pick the winners -- without any of the massive distortions from politically determined subsidies that you describe. To Tax, Or Not To Tax? Now, going back to carbon taxes, how do we know that distortion from a carbon tax hike would be economically worse than from a green energy tax cut? You point the way when you argue that: "Tax preferences... create dead-weight losses, and produce less economic efficiency as a consequence..." Both options are tax preferences, so equal on that score. The difference is, tax hike versus tax cut. We know that a carbon tax would entail more dead-weight loss because economics 101 says that tax hikes create dead-weight losses, but tax cuts eliminate them. For anyone who is wondering what a dead-weight loss is, here is a nice little description that sums it up. Any tax prices out some consumers who can't afford it, creating losses for both those consumers and the producers, who sell less. Eliminate the tax, and you eliminate the loss. This dead-weight loss analysis is a technical way of saying that tax hikes depress economic activity and tax cuts boost economic activity. So if you need to adjust a price in the market, the better way to do it is with a tax cut, not a tax hike. And by the way, lest anyone be misled by jargon, the distortion caused by the politically determined subsidies Jerry favors is ALSO a dead-weight loss, and as noted, far more damaging than a broad tax cut. Contrary to what Jerry implies, subsidies do not have any dead-weight loss advantage over tax cuts, rather the reverse. Thus far, your arguments for favoring subsidy and carbon tax hikes are self-contradictory. You have not advanced any logical, non-contradictory arguments to support these preferences. This is the predictable result of doing the Keynesian Tango. Those sly sacada steps will trip you up every time. 1) "Tax cuts are... worse than more direct interventions because [they] are less visible to third parties." Not so. As I am sure all your Cato fellows are keenly aware, no third party can see any of the $2 trillion dollars of entirely invisible direct investment that the Fed has recently doled out to God knows which banks, because they aren't telling. By contrast, tax cuts are extremely visible to market participants, featuring prominently in any sales or investment pitch when relevant. Tax cuts in fact must be visible if they are to work as planned. It is the back room deals to subsidize in this or that particular company, the approach you prefer, that are truly invisible and pernicious to boot. 2) "Tax preferences increase the cost of tax collection." T'ain't necessarily so. Tax cuts, as your Cato colleagues will tell you, increase tax compliance, so decrease the cost of tax enforcement. Besides, a carbon tax would have the same objection (oh, hey, there's a self-contradiction!) only the enforcement costs would be even greater, because compliance would be worse. Cap-and-trade would require the cost of a huge bureaucracy to give the illusion that the program is enforceable and not running off the rails. All "direct interventions" you favor would have similarly huge administrative costs. Indeed it is safe to say that the administrative costs for each of these tax and spend options would be far larger than for green energy tax cuts, which could possibly lower tax collection costs through better compliance. 3) "Tax preferences... decrease otherwise desirable economic activity." OK, well, this is part of the same self-contradiction again. For the above merely tweaks the dead-weight loss argument a bit, so the same objection applies to both carbon tax and subsidies, only more so. But the formulation is noteworthy. Let's be clear, the economic activity that is principally decreased here -- oil and coal consumption -- is not really all that desirable in the eyes of the American public. All the policies we are discussing are supposed to do just that. The key difference is that tax and spend policies drag the entire economy down in the process, while green tax cuts, like any tax cut, will help boost not only the entire economy, but can also help the oil and coal companies profitably diversify in clean green ways, becoming increasingly tax free the greener they get. So everybody benefits. In fact, strategic tax cuts or hikes, focussed on the energy sector, will have a 2X effect, positive or negative, for a cumulative 4X difference in outcome. Energy is such a key input in the economy, like taxes or interest rates, that energy price changes can have a big impact on economic health. A tax cut in the energy sector will have all the benefits of a normal tax cut (benefits for the energy sector, etc.) plus the added benefit of lower energy prices stimulating the entire economy. A carbon tax, would have a double negative effect: all the dead-weight harm to the industry from a fossil fuel tax hike, plus the harm of higher energy prices for all. That is why the energy sector is the best possible area to target for a strategic tax cut, because the benefit of that tax cut is immediately passed on to the rest of the economy through reduced energy prices. That is also why a gas or carbon tax would be an economic disaster at this time, because that tax hike is also passed on. So it is clear that a carbon tax would "decrease otherwise desirable economic activity" to a huge degree, while a green energy tax cut would actually benefit the whole economy, net of net. Indeed, the net economic benefit is even greater than that, for if we include tax cuts on energy efficiency, we get an additional multiplier effect by factoring in those gains. If our cars and refrigerators use less energy, not only do we consume and pay less, but that reduced demand puts even more downward pressure on energy prices. Those combined saving are also passed on to the entire economy, like a broad tax cut. Like a broad tax cut? Actually, it really is a broad tax cut, because the benefits of a strategic green energy tax cut flow through so easily via energy prices, because the double multiplier effect magnifies the benefit to all. Since Cato stands no hope of getting a broad across-the-board tax cut passed in the next several years, this is certainly the next best thing. What is in it for Oil and Coal? Now, you may argue, why should the oil or coal industries suffer? I would agree. They should not. But they would definitely suffer a great deal under the punitive anti-fossil-fuel tax-and-spend policies you and the Democrats currently prefer. By contrast, under the green energy tax cut proposal, those industries are offered a massive opportunity to simultaneously diversify and reduce all corporate taxes (sales, income, interest income, even shareholder's capital gains taxes) by shifting green. Think of it. Companies like ExxonMobil are currently sitting on mountains of cash that the Democrats would like to take away from them. Now we all know they will have to diversify someday. Why not now? How about instead of the punishing policies you prefer and the Democrats will likely enact, we let them keep all that cash and even reduce their taxes by diversifying into the most promising green energy investment available? How would ExxonMobil feel about becoming the leader in not just oil, but in every clean, green energy source... which they could certainly do with their piles of cash. How would they feel about becoming increasingly tax free? And then, when fuel competition has increased to the public's satisfaction through strategic tax cuts, we will have an object lesson in the power of tax cuts, and an excellent case for across the board tax cuts to decrease dead-weight loss, boost the economy and raise revenue. But Wait: Jerry Hates Tax Cuts! Oh right. To me, this is the most puzzling part of your footwork, the pro-tax anti-deficit interlude. For in this passage, you may not be contradicting yourself, but you are not exactly contradicting me either. I am not sure who it is you are debating with here, or who you think believes in the "libertarian faith." Not me. I like my libertarianism grounded in reality and reason. I don't know who put the jam in your jelly with the "starve the beast" hypothesis. Wasn't me. I don't know who is calling for debt financing. Not me. For the record, the Green Energy Tax Cut proposal pays for itself as follows: the elimination of all direct subsidies for energy ($16.6 billion for oil, coal, nuclear, renewables, biofuels, etc. ), agriculture ($20 billion), and vehicles; elimination of all proposed and existing federal programs to invest directly in alternative energy including nuclear ($30 billion); elimination of mandate programs; elimination of all proposed cap and trade programs; legalization and taxation of hemp. Total saving: about $66 billion per year, minimum. In addition, if your colleague Chris Edwards is right that reducing US corporate taxes by 14% would maximize tax revenues, then if the revenue curve is bell shaped, reducing them by 28% would most likely be revenue neutral. (These numbers serve only to illustrate; other economist might offer other figures.) That means green energy corporate taxes can likely be cut by up to these amounts and pay for themselves with no offsets. (Very likely green energy corporate taxes can be cut by more than these amounts because tax cuts in the energy sector flow through easily, with multiplier effects, to the rest of the economy, producing more economy wide growth and tax revenue than your average corporate tax cut.) A well designed Green Energy Tax Cut plan could produce both a textbook Laffer curve revenue increase, and a spending reduction by replacing wasteful programs. The only pro-tax argument you make that addresses my proposal is your notion that tax cuts should be avoided because they encourage over spending by reducing its marginal cost to the tax payer. But deliberately raising taxes in hopes that spending will decline strikes me as a rather backwards policy, not supported by evidence. Cato's in house regression analysis found "no clear relationship" between tax cuts and spending. That implies that while tax cuts do not "starve the beast," you actually have no evidence that tax hikes reduce spending either. Tax rates seem not to affect spending, apparently. So better to tackle the spending directly, and impose balanced budget requirements or debt limits, as many states do. The pro-growth, Laffer curve benefits of tax cuts should not be lost because doing so will not reduce spending, according to your evidence. Analysis of your principle arguments reveals the following. Relative to green energy tax cuts, carbon taxes and politically distributed subsidies would have higher administrative costs, decrease desirable economic activity to a far greater degree, create more dead-weight loss, and produce less economic efficiency as a consequence. Political subsidies and carbon trades would also be less visible to third parties, so more liable to misbehavior. Green energy tax cuts would improve compliance, pass on tax cut benefits to the entire economy, and eliminate dead-weight loss. As such strategic green energy tax cuts are preferable because they avoid the greater economic inefficiency of the other alternatives, and actually confer a net benefit, acting in effect like a broad tax cut for the whole economy. Indeed, a successful green energy tax cut today becomes an excellent argument for an actual economy-wide tax cut tomorrow. If we can point to a revived and greener auto industry, a strong stable US economy, US world leadership in the burgeoning green energy sector, the majority of global green energy investment passing through US capital markets, massive advances in energy efficiency and emissions reduction, increased energy competition and supply, lower, more stable energy prices, millions more jobs, increased tax revenues, cleaner, more diversified energy companies, and finally, the Big Government Energy Disaster averted, this can all become a teachable moment. Cato would look like a champion, with a great new argument for eliminating tax and spend social policies and slashing taxes across the board. Thank you, Roger Kaplan, for your excellent suggestion!! Fortunately for me, Cato does not have a lot of litmus tests that all of its fellows and associates must follow in order to retain standing within the organization. Having said that, I don't find Jerry's position to be much at variance with either my view of what you might consider standard libertarian cant. Jerry says he opposes using tax incentives to promote renewable energy. That is in line with the idea of flat taxes, which is supported by many if not most libertarians. Jerry adds that, if we have to promote renewable energy, there are other ways of doing it that would be better than tax cuts. I suspect that most libertarians would agree that there are ways of achieving public goals that are better than tax incentives. Jerry specifically mentions direct subsidies, carbon taxes, and cap and trade. But he emphatically adds that he does not support any of these ideas either because he is not persuaded that government ought to be supporting renewable energy. This is also in line with most libertarians, at least most of the ones that I know. What about libertarians who are convinced that government should be supporting renewable energy? Do they prefer tax cuts over subsidies, carbon taxes, or cap and trade? I can't answer this question because I know very few people who call themselves libertarians who think government should support renewable energy. Personally, I am not convinced government has to do anything, but if we have to do something because the body politic demands it, I think carbon taxes would be the least-bad thing to do. But that's just me. But why, Randal? Why do you prefer a carbon tax? Or anything else? Neither you nor Jerry give a coherent argument why a tax hike is better than a tax cut. Neither of you bother to answer my various arguments that the opposite is true: the carbon tax hikes create dead-weight loss, which tax cuts remove, that a carbon tax would create a deadly drag on the entire economy, while a green energy tax cut would do the reverse. Etc. A preference for a flat tax is just fine -- I'd like to see that too -- but fat chance of that. We live in a real world, and we have to avoid real threats (energy socialism) and take real opportunities to cut actual taxes, not hanker after imaginary ones. Besides, a carbon tax violates a flat tax every bit as much as a green tax cut does, so that does not justify your preference. I'm also not arguing that renewable energy needs assistance: I'm saying that if green energy, vehicles, infrastructure, efficiency did get a tax cut, that would help stave off a big-gov disaster, it could help train progressives to appreciate tax cuts, and it would be a net benefit for the whole economy. And you should know that last part is true, because if across-the-board tax cuts would help, it is common sense that some tax cuts would help too. The attitude that if we can't get all the tax cuts we want the way we want them, then we don't want any tax cuts, strikes me as impractical and foolish. Sure, argue for what would be ideal, but until that is possible, we need to take what we can get. We are facing a threat and we have an opportunity. The Democrats commitment to climate change reduction and renewable energy is that threat and opportunity. To ignore it with utopian do-nothingism will only invite the disaster. BTW, thank you for commenting. I'm usually debating liberals, so this is really fun for me for a change. I prefer a carbon tax for three reasons. First, it is less susceptible to manipulation by pork-seeking legislators or cynical businesses. Second, it most directly addresses the problem, if there is one, of greenhouse gas emissions. Third, and most important, I would direct 100 percent of the tax revenues to programs that cost-effectively reduce greenhouse gas emissions. Thus, the tax is twice as effective as a tax cut or anything else. It is effective first because the tax gives people an incentive to emit less greenhouse gases, and second because the revenues reduce greenhouse gases by even more. This means that a carbon tax only has to be half as big as a tax cut to have the same effect. Thank you Randal, for the clear articulation of the reasons for the carbon tax preference. However, these do not hold under scrutiny. First, not only will carbon tax legislation be subject to manipulation by donation-seeking legislators and exemption-seeking businesses, any resulting tax revenue will be a brand new source of pork. You can't guaranty that the proceeds would be spent as you wish, and even if they are, there is a lot of room for inappropriate porcine green energy subsidies. All sorts of interests will line up for those funds. Al Gore wishes to spend them on payroll tax reductions. There will be lots of other unworthy causes, and much pork will be doled out to get the deal done, of that we can be sure. Well defined green tax cut legislation should have less pork in it than the green subsidies you want -- and much less pork than the other subsidies you don't want, but will get. Second, a carbon tax actually does not address the problem of greenhouse gas emissions in any reliable way. Norway, Sweden, Finland and Denmark have had carbon taxes since the 1990s, but none of the first three had large declines in emissions. In fact, Norway's emissions have risen by 43% per person. Denmark is the only one of the four to see significant emission declines -- 15% lower per capita in 2005 vs. 1990. But that is most likely not because of their carbon tax, to judge by the Scandinavian results. The key difference is that Denmark has spent massive amounts -- way more than the carbon tax revenue -- subsidizing renewable energy and other emission reduction technologies. That is pretty good evidence that investment in renewable energy (etc.) is more effective than a carbon tax at reducing emissions. Lastly, why are you even using greenhouse gas emission reductions as a yardstick for your policy preference? Unless I am mistaken, neither you nor Jerry think climate change is real. Honestly, the only criteria that should matter to you is the health of the economy. As of now, all my arguments on that score still stands unanswered that tax cuts beats tax hikes or subsidy in delivering net economic benefit. If Chris Edwards and Richard Rahn, et al., are right that cutting all taxes would be good for the economy, then cutting even some taxes would also be good, and avoiding tax hikes and subsidies even better. In sum, generally low taxes are more important and more achievable than perfectly flat taxes. idea, ROD ,just be thankful you finally had one!!!!!!!!!!!! Let's face it, an "economic stimulus" package is inevitable. Obama has earmarked as much as $700 billion to inject into the economy. Some stated main objectives are to rebuild the crumbling infrastructure, and steer the country towards renewable sources of energy. Money is going to be spent and much of it will go to supporting a bureaucracy to administer these programs, as well as the usual graft taken when the government doles out cash. Further, on top of the last multi-billion dollar bail-outs, the American people are in for one hell of a bill, one coming from the initial loan from the Federal Reserve, and the other a whopping fee from the interest. These tactics of spending to induce growth seem to me only to pass along to the next generation the pain which we ourselves cannot bear to endure. These cycles of spending in order to stave off disaster will eventually catch up with us. Following the arguments presented, it seems logical that by providing tax relief to certain industry will naturally create growth as businesspeople see the obvious advantages. States do this all the time by giving industry tax break incentives for moving to their state. Inherent in the discussion is the belief that government should not show favor over one industry to another, as it reeks of socialism. The fact is that our government does this all the time by providing subsidies to all sorts of industry, such as the farming industry, while ignoring other industries altogether. Further, it places penalty taxes on items such a cigarettes to dissuade people from smoking for health reasons, though the government does make a hefty profit. More and more, Americans realize the enormous jeopardy they have put themselves in by being captive to an energy source (oil) that compromises our national and economic security, as well as our potential environmental security. And destroying Appalachia for homegrown dirty coal seems just as unappealing. Going "green", a.k.a. discovering and utilizing renewable resources is an imperative for all the reasons (and probably more) that were previously mentioned, and should be promoted by the government, in much the same way government promotes (or should promote) health. I think the argument that devising tax cuts creates a burden on the tax collection system is a sham argument, as any change in the way government does business will elicit changes to the system. Tax cutting for the "green energy industry" shows a positive way government can help lead the populace to a more sustainable environment and economy. Lord knows we could use some sane stewarding of our nation after the last eight years of deviance and mismanagement. Despite the hesitations many business leaders had about what Obama might do once taking office, I think he's taken the right steps and made some great cabinet choices that leave myself and many others in great confidence of his direction. Especially, when looking towards supporting the green energy industry and creating green-collar jobs, Obama is definitely on the right track. Thanks Kevin, for the thoughtful comment. But I'd like to hear a good explanation, from you or anyone, WHY Obama's proposed policies are better than green energy tax cuts. Reportedly, Larry Summers is putting the brakes on some aspects of the plan because it will harm the economy, and he has the expertise to realize that. Obama really needs a plan that will boost economic growth, not depress it. Green tax cuts are the only policy option that can boost the green energy sector and boost the economy with it. All other options actually will harm the economy to a degree, including direct subsidy.